Miss Jennifer Lawrence // #1 Fansite for Academy Award Winner, Jennifer Lawrence! » Blog Archive » Jennifer featured in Dior Addict Ultra Gloss campaign! 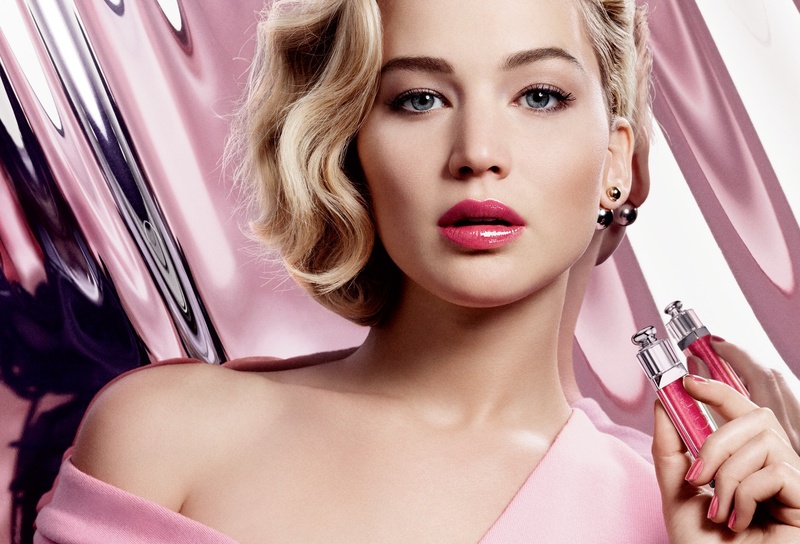 Jennifer featured in Dior Addict Ultra Gloss campaign! Several months ago we introduced you to Dior Addict Lipstick, the first lipstick with a hydra-gel core, and the signature of a color-rich femininity. Today, Dior Addict Ultra-Gloss brings volume and brilliance to lips. The new gloss comes in eighteen shades and with three textures providing iridescent, sparkling or patent effects. Their names, including Sequins, So Real, Diorama and Sideral, are taken from the Dior fashion culture. These vibrant colors bloom on the lips with voile-like transparency. The equally lightweight texture at the source of this intense and colorful brilliance sits comfortably on the lips without any stickiness. Developed by the Dior laboratories to hydrate and sustainably plump up lips, Dior Addict Ultra-Gloss gives a result that’s fresh and sensual. Its brush, designed for precision application, is the same as that used by the makeup artists backstage at the fashion shows. Jennifer Lawrence, who was awarded a Golden Globe in January for her performance in the movieJoy, is the bright face of the new gloss. “Jennifer has a strong personality, she’s a natural and spontaneous woman who loves to get made up, putting on her gloss, and changing it according to her mood,” says Peter Philips.